Pro-dairy industry initiative 'Februdairy' has been labeled a 'complete misfire' by a market analyst. The campaign was inspired by the success of Veganuary - which encourages people to try a vegan diet throughout January. It aimed to promote a positive image of dairy farming, using the Februdairy hashtag. The hashtag was hijacked by vegans who used it to share facts about the industry. At the time of writing, the top 50 Februdairy tweets were pro-vegan. Plant-based Market Analyst Amar Sheth told PBN: "Februdairy was conceived as a social media campaign to do some 'myth busting', say those that conceived it. "Feeling the sting of losing customers and the bite of vegans and activists, the goal was to rally farmers in order to provide a positive image directly to the public." At the mid-point of the month, Sheth analyzed the Februdairy hashtag. 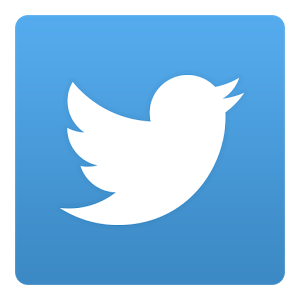 He said: "A simple search of the hashtag on Twitter reveals deep problems for the campaign. 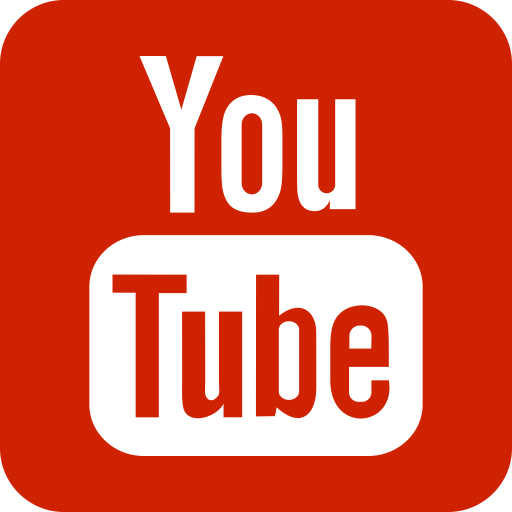 "First and foremost, the top influencers who dominate the conversation are all vegan. "Minute by minute and hour by hour, vegans continue to shine the light on the parts of the industry which it wants hidden." He added: "Secondly, the top hashtags are, again, vegan-based or overtaken by vegans. 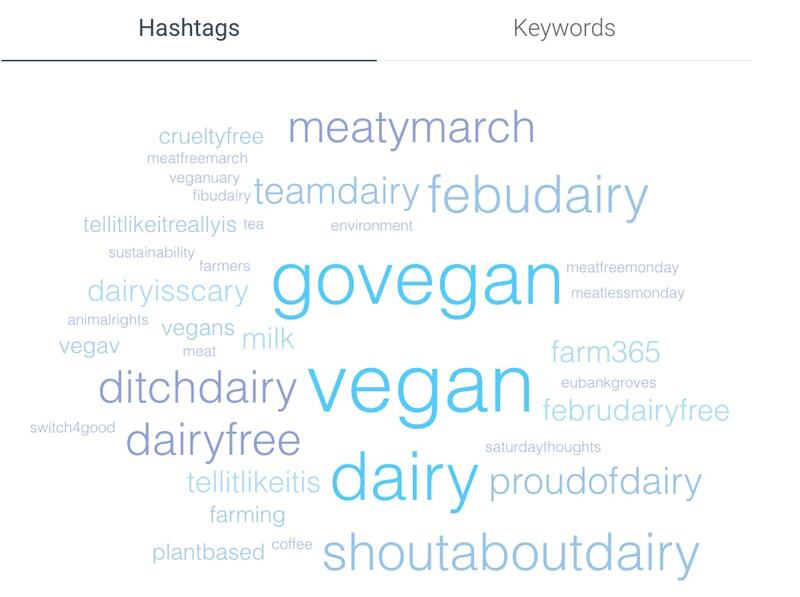 "Using the popular hashtags #Februdairy, #ShoutAboutDairy, #ProudOfDairy, and more, vegans continue to hammer home the message that dairy is simply not needed. "In short, the campaign has been a complete misfire in terms of purpose, planning and mission." Sheth's mid-month analysis of Februdairy revealed that the top two related hashtags were vegan, and go vegan. 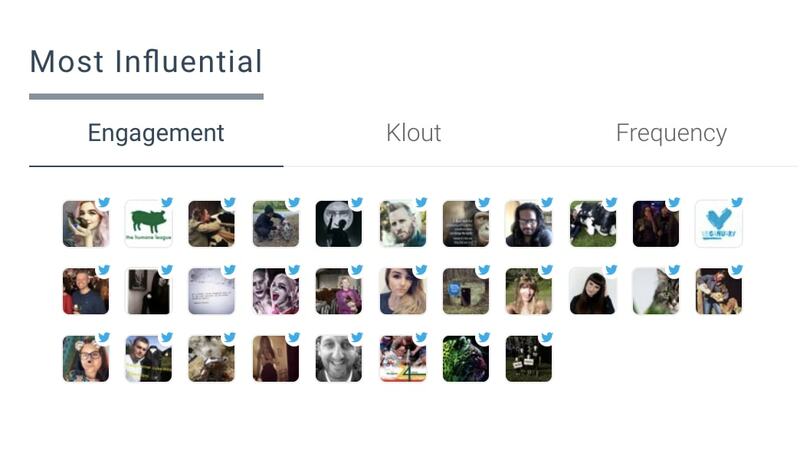 In addition, the top few influencers using the hashag were all vegan. He said: "From all angles, the campaign is a failure." Analysis at the end of the month paints a similarly bleak picture for the dairy contingent. 'Go vegan' and 'vegan' are still the top two related hashtags (with 'dairy' in third). Perhaps more significantly, looking at the most influential Tweeters over the last week of the campaign, the top 21 appear to be vegan accounts. Livestock Sustainability Consultant Dr. Jude Capper - who appeared at one stage to be leading the campaign - is way down in 22nd position. The hashtag's failure to successfully promote dairy is just one issue faced by the campaign. 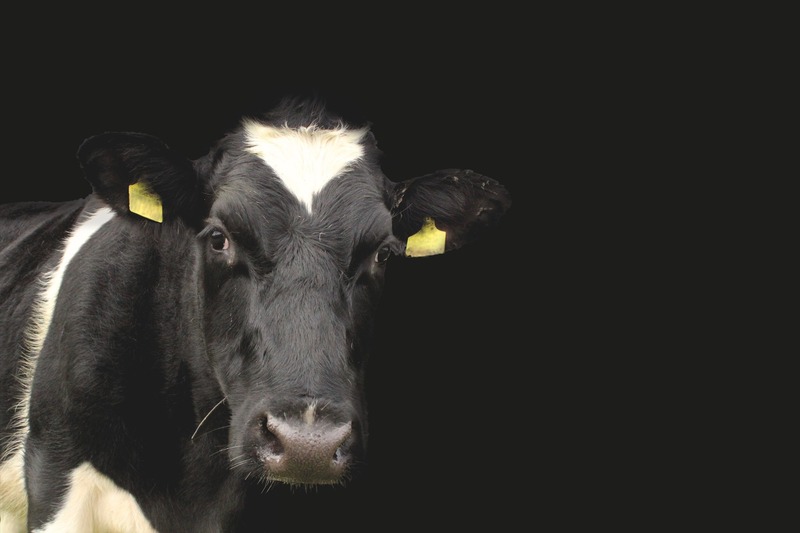 Earlier this month, the farming community distanced itself from the initiative when a top farming boss has labeled Februdairy 'counterproductive'. In addition, the campaign's spokesperson Dr. Jude Capper faced criticism for breaking her own social media rules. When telling other people how to behave on social media, she said: "Don't block people online. If you block people online they think you are 'rattled' or have something to hide." 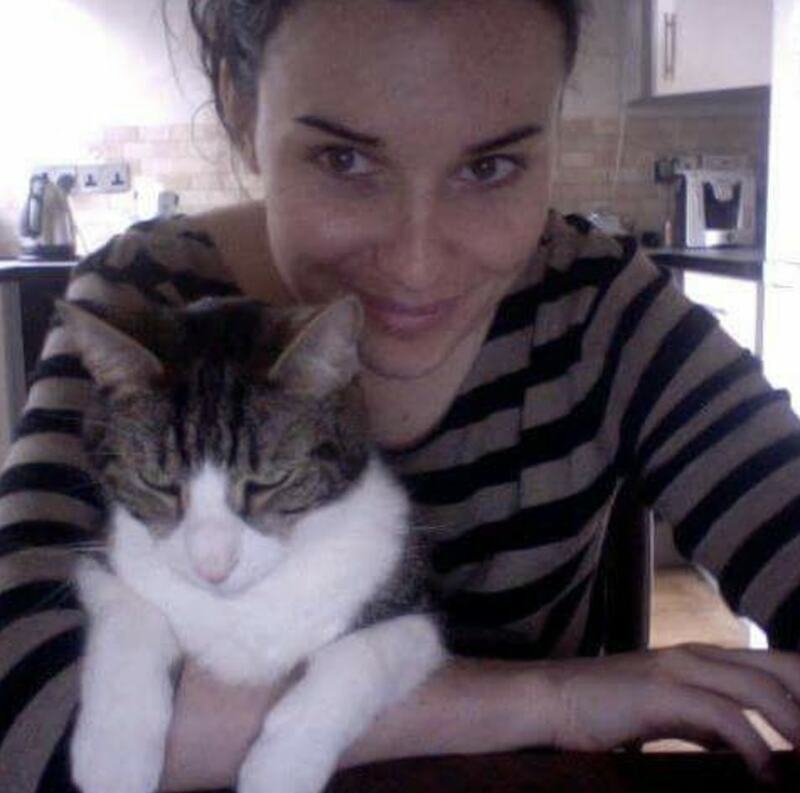 Dr. Capper (known on Twitter as 'Bovidiva') became such a prolific blocker during the month (reportedly even blocking vegans who had not engaged with her) that a hashtag was launched: #blockedbybovidiva. She also faced criticism when 'liking' jokes about killing vegans, and suggesting she would let a vegan die in a burning building. The issues faced by Februdairy have led many animal welfarists to brand the campaign 'desperate' - and as a sign that the dairy industry is on its 'last legs'. According to British group Animal Aid: "Not only is Februdairy a silly name, it shows the desperation of the industry. "In recent times, the dairy industry has taken a bit of a battering; the number of people opting for dairy-free, plant-based diets has gone through the roof. "Figures show that whilst milk sales continue to fall year-on- year, and the industry becomes less profitable, the sales of plant-milks are booming."